Benjamin Ewert: minister-at-large in the General Conference Mennonite Church; born 26 November 1870, at Torun, Poland, then known as Thorn, West Prussia, Germany, the youngest of the twelve children of Wilhelm Ewert and Anna (Janz) Ewert, and a brother to H. H. Ewert. He married Emilie A. Ruth of Halstead on 29 October 1895, to whom were born two daughters and two sons. Benjamin died 22 June 1958 in Winnipeg, Manitoba, Canada. The Ewert family immigrated to America in 1874 and settled on a farm near Hillsboro, Kansas. He was educated at the Mennonite Seminary at Halstead, Kansas, 1884-90, and the Mennonite Educational Institute (later changed to Mennonite Collegiate Institute), Gretna, Manitoba, 1892-1902. He was baptized in the Halstead Mennonite Church on 6 January 1889, and later joined the Bruderthal Church at Hillsboro. Ewert farmed from 1890 to 1892, and then taught at a country school near Gretna, Manitoba for 10 years. He also taught one year in the Mennonite Educational Institute at Gretna. He was ordained to the ministry in the Bergthal Mennonite Church in Manitoba in 1895, serving for 25 years, and then became itinerant minister of the General Conference of Mennonites in Canada for 17 years until 1938. He had a bookstore and printing plant in Gretna for 15 years, printing Der Mitarbeiter, the paper of the Gretna school, pamphlets, etc. He was superintendent of the Bergthal Mennonite Old Folk's Home in Gretna 1919-21. He organized churches in Saskatchewan, officiating with baptismal services, Lord's Supper, the election and ordination of ministers, and other services. He opened the Bethel Mennonite Mission (General Conference Mennonite Church) at Winnipeg in 1938 and supervised it until August 1943, and continued as associate minister until his death. He served as minister-at-large for the Conference of Mennonites in Canada, and as statistician for conference committees. He was chairman, vice-chairman, and secretary of the conference as well as a member of numerous committees, and served on the boards of the Bible Society, the Temperance Alliance, and the Board of Education. In 1917, during World War I, he was one of five delegates sent to Ottawa by the Mennonite churches of Western Canada to consult with government officials regarding military service by Mennonite youth. He was president of the Canadian Mennonite Gesangbuch-Commission. Langenwalter, J. H. "Ewert, Benjamin (1870-1958)." Global Anabaptist Mennonite Encyclopedia Online. 1959. Web. 21 Apr 2019. http://gameo.org/index.php?title=Ewert,_Benjamin_(1870-1958)&oldid=126553. 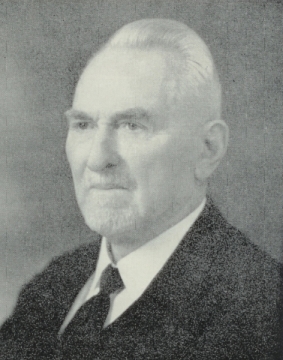 Langenwalter, J. H. (1959). Ewert, Benjamin (1870-1958). Global Anabaptist Mennonite Encyclopedia Online. Retrieved 21 April 2019, from http://gameo.org/index.php?title=Ewert,_Benjamin_(1870-1958)&oldid=126553. Adapted by permission of Herald Press, Harrisonburg, Virginia, from Mennonite Encyclopedia, Vol. 4, pp. 1083-1084. All rights reserved. This page was last modified on 26 October 2014, at 20:51.